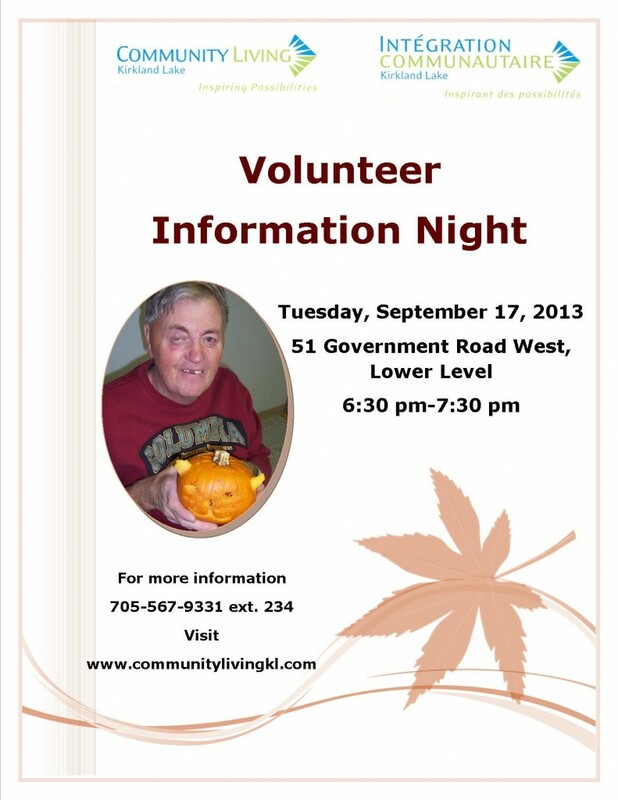 KL 4 Seasons Yard Care Inc.
Join us on Tuesday, September 17, 2013 from 6:30-7:30 pm to learn more about our Volunteer Services Program! Help Community Living Kirkland Lake achieve our mission - donate today. Copyright © 2017 Community Living Kirkland Lake. All rights reserved.